Whether you collect state quarters, world coins or coins with a special theme such as animals, birds or plants -- turn your hobby into a badge! American Numismatic Association has information to help scout leaders conduct a Scout Workshop, and the ANA's Young Numismatist (YN) programs provide special collecting information to help you earn your badge or patch. Classes for Young Numismatists that include information needed for Scouts to earn their badge are held at the National Money Show, the World's Fair of Money and at the ANA headquarters in Colorado Springs. 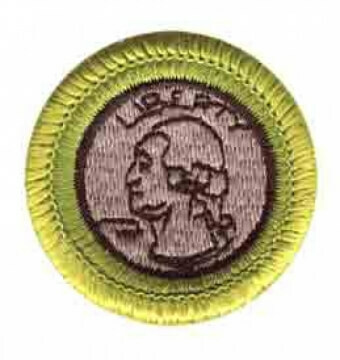 Scouts can earn a free initial one year membership to the ANA by earning their collecting patches. 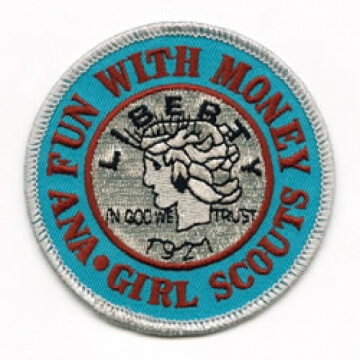 For more information or to order the "Fun with Money" patch, please contact the ANA at education@money.org or call 719-482-9846. Programs like this would not be possible without the generous support of our donors.